The extra work continues at the top of Central Road. 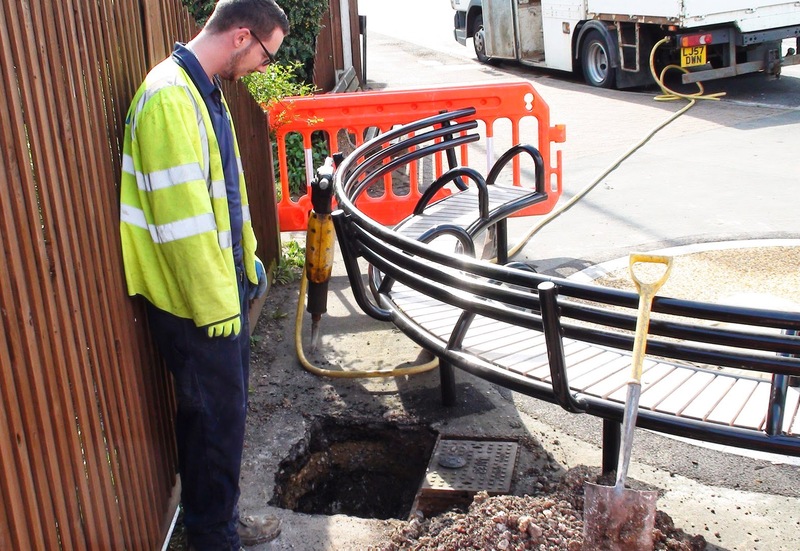 Yesterday and today Sutton and East Surrey Water find themselves moving an underground stopcock because 'someone' went and installed a bench over it. 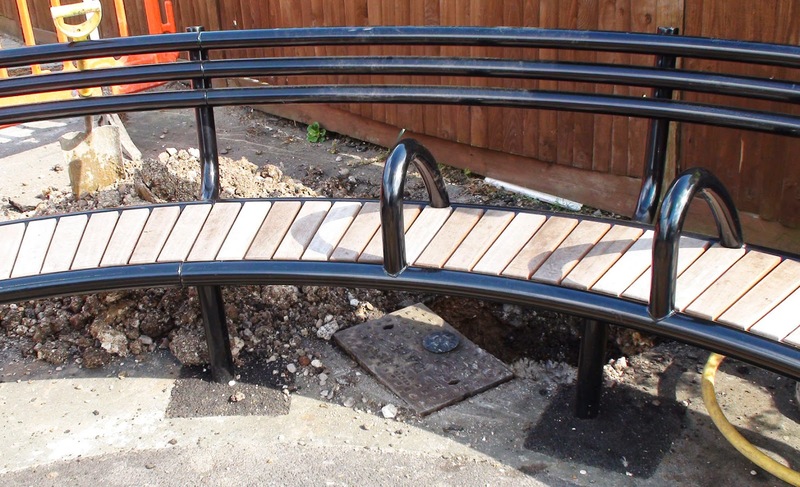 The gentleman working on it told the blog that luckily the stopcock all comes as one section and it shouldn't take to long to move it the necessary 18 inches or so and redirect the pipes even though they have to work underneath the bench to get it out. Hopefully it should be done by the end of today (Tuesday 15th). 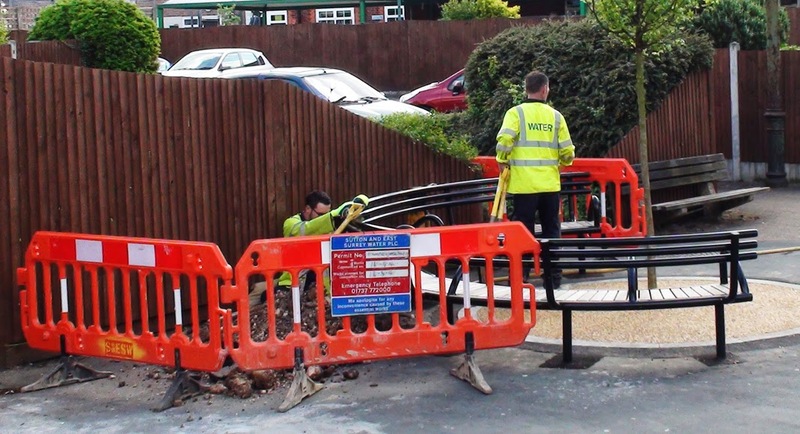 When I asked if perhaps it would have made more sense to move it before installing the bench, the rolled eyes and shaking head rather said it all really.